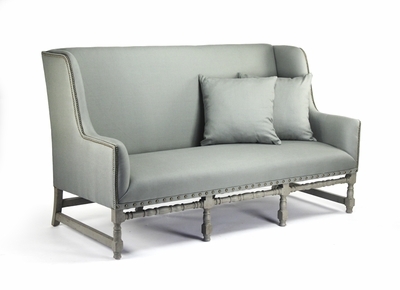 AUBERT BENCH - Beautifully detailed, the Aubert Bench is oversized for comfort. Upholstered in a soothing shade of green, this chair has a tall back that intertwines the two essentials of comfort and style. Dimensions: W 76" x H 44.5" x D 36"